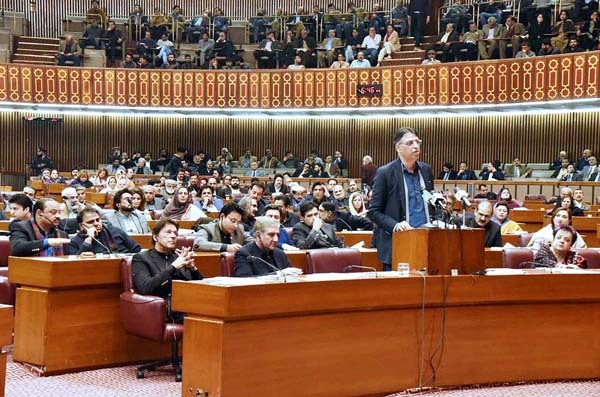 Following are the salient features of the Finance supplementary second amendment bill announced by Finance Minister Umar Asad in the National Assembly on Wednesday. * Income tax rate on income from SME, Agriculture and Low Cost Housing Financing to be reduced to 20% for banks. * Withholding tax on banking transactions abolished for filers. * Withholding tax on traders changed from 6% minimum tax rate to final discharge of liability. * Regulatory Duty on raw materials for various tariff lines reduced or abolished. * Customs duty, Sales Tax and Income Tax abolished on production and renewable power generation machinery for the next five years. * Super Tax on non banking companies abolished from July 2019 onwards. * Corporate tax rate structure maintained. * Tax on retained earnings to be abolished. * Intercorporate tax reliefs restored. * Advance tax on shares trading abolished. * Capital loss carry forward allowed for next three years. * Higher taxes on cars of 1800cc engine capacity or above. * Non filers can buy cars upto 1300cc but with a higher tax rate. * Withholding tax statements will be filed half yearly instead of monthly. * Promissory notes to be issued for traders to promote exports. * GIDC scheme to be issued tomorrow with expected reduction in GIDC and Rs 200/bag in urea prices. * Taxes on cheaper mobile phones to be decreased. * Revolving credit of PKR5bn for Home Developers.